Porphyry copper deposit, situated 15 km southeast of the town Gällivare and 50 km north of the Arctic circle. 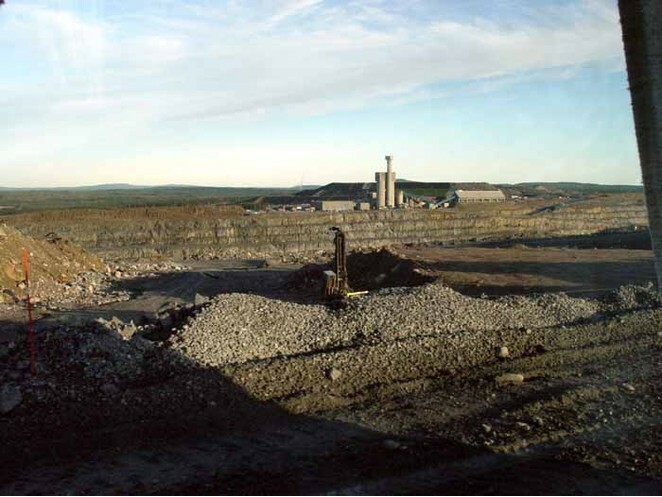 Proven reserves reported in Jan 2007 were 526 Mton of ore containing 0.28 % of Cu, 0.2 ppm Au and 2 ppm Ag. The ore zone is almost 3 km long and 500 m wide, the strike is almost north-south. The dip of the orebody is 50 degrees and it plunges to the north. The southern part of the ore zone reaches down to 400 m and in the northern part the ore depth is still unknown. Sweden's largest sulphide mine with an annual production of 35 Mt of ore, and the biggest open pit operation in northern Europe. The deposit is proposed to represent a Palaeoproterozoic, strongly metamorphosed porphyry copper deposit that was affected ca. 100 Ma later by a regional IOCG-type hydrothermal event (Wanhainen et al., 2012). The surrounding area of Aitik deposit consists of Precambrian (about 1.9-1.8 Ga) intermediate volcanic rocks, clastic sediments, and intrusions of granite, gabbro and diorite (Witschard, 1996). The Aitik deposit is situated close to a structurally important NW-SE striking shear zone in northern Norrbotten ore province. The host rocks of the Aitik deposit is probably formed about 1.9 Ga years ago (Wanhainen & Martinsson, 1999). Tha name "Aitik" is of Saami language and translates to " Storage". Reference: Sammelin, M., Wanhainen, C., & Martinsson, O. (2011). 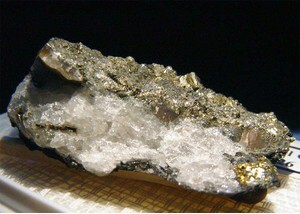 Gold mineralogy at the Aitik Cu–Au–Ag deposit, Gällivare area, northern Sweden. GFF, 133(1-2), 19-30. Reference: Knipfer, S., Nordin, R., Wasström, A., Höglund, S., Joslin, G., & Wanhainen, C. The Aitik porphyry Cu-Au-Ag-(Mo) deposit in Sweden. Reference: Monika Kontturi & Olof Martinsson (2000) Gold in the Aitik Cu-Au deposit, Gellivare area, Northern Sweden. In Abstract volume and Field trip Guidebook, 2nd annual GEODE-Fennoscandian shield field workshop on Palaeoproterozoic and Archean greenstone belts and VMS districts in the Fennoscandian Shield (Vol. 28). ; Nigatu, W. (2011). Rhenium in the Aitik Cu-Au-Ag-(Mo) Deposit (Doctoral dissertation, Master’s Thesis, Lulea University of Technology, Lulea, Sweden). 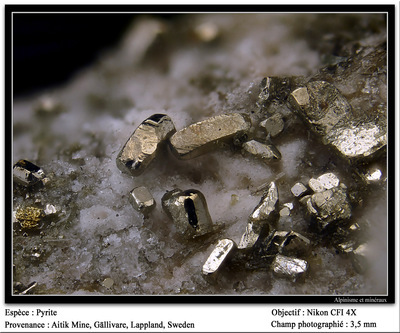 Reference: Monika Kontturi & Olof Martinsson (2000) Gold in the Aitik Cu-Au deposit, Gellivare area, Northern Sweden. In Abstract volume and Field trip Guidebook, 2nd annual GEODE-Fennoscandian shield field workshop on Palaeoproterozoic and Archean greenstone belts and VMS districts in the Fennoscandian Shield (Vol. 28). Reference: Singer, D.A., Berger, V.I., and Moring, B.C. (2008): US Geological Survey Open-File Report 2008-1155.; C. Wanhainen & O. Martinsson (2000) The Aitik Cu-Au deposit, Gellivare area, northern Sweden. In Abstract volume and Field trip Guidebook, 2nd annual GEODE-Fennoscandian shield field workshop on Palaeoproterozoic and Archean greenstone belts and VMS districts in the Fennoscandian Shield (Vol. 28). ; Niiranen, T. 2011. Iron oxide-copper-gold and porphyry-Cu deposits in Northern Finland and Sweden. Excursion guide in the 25th International Applied Geochemistry Symposium 2011, 22-26 August 2011, Rovaniemi, Finland. Vuorimiesyhdistys - Finnish Association of Mining and Metallurgical Engineers, Serie B92-12, 40 pages. ; Knipfer, S., Nordin, R., Wasström, A., Höglund, S., Joslin, G., & Wanhainen, C. The Aitik porphyry Cu-Au-Ag-(Mo) deposit in Sweden. ; Nigatu, W. (2011). Rhenium in the Aitik Cu-Au-Ag-(Mo) Deposit (Doctoral dissertation, Master’s Thesis, Lulea University of Technology, Lulea, Sweden). Reference: Singer, D.A., Berger, V.I., and Moring, B.C. (2008): US Geological Survey Open-File Report 2008-1155.; Sammelin, M., Wanhainen, C., & Martinsson, O. (2011). Gold mineralogy at the Aitik Cu–Au–Ag deposit, Gällivare area, northern Sweden. GFF, 133(1-2), 19-30.; Eilu, P. (2003). Exploration for orogenic gold deposits. Fennoscandian Exploration and Mining 2003. Rovaniemi, Finland ; C. Wanhainen & O. Martinsson (2000) The Aitik Cu-Au deposit, Gellivare area, northern Sweden. In Abstract volume and Field trip Guidebook, 2nd annual GEODE-Fennoscandian shield field workshop on Palaeoproterozoic and Archean greenstone belts and VMS districts in the Fennoscandian Shield (Vol. 28). ; Fengxiang Wang, Fengjun Nie, Weibo Zhang, Yi Cao, and Chengwu Ding (2013): Mineral Deposits 32(5), 1068-1071; Knipfer, S., Nordin, R., Wasström, A., Höglund, S., Joslin, G., & Wanhainen, C. The Aitik porphyry Cu-Au-Ag-(Mo) deposit in Sweden. Reference: LTU-DT-0536-SE. Wanhainen.Aitik (Doctoral thesis); Singer, D.A., Berger, V.I., and Moring, B.C. (2008): US Geological Survey Open-File Report 2008-1155.; Fengxiang Wang, Fengjun Nie, Weibo Zhang, Yi Cao, and Chengwu Ding (2013): Mineral Deposits 32(5), 1068-1071; Knipfer, S., Nordin, R., Wasström, A., Höglund, S., Joslin, G., & Wanhainen, C. The Aitik porphyry Cu-Au-Ag-(Mo) deposit in Sweden. ; Nigatu, W. (2011). Rhenium in the Aitik Cu-Au-Ag-(Mo) Deposit (Doctoral dissertation, Master’s Thesis, Lulea University of Technology, Lulea, Sweden). Reference: C. Wanhainen & O. Martinsson (2000) The Aitik Cu-Au deposit, Gellivare area, northern Sweden. In Abstract volume and Field trip Guidebook, 2nd annual GEODE-Fennoscandian shield field workshop on Palaeoproterozoic and Archean greenstone belts and VMS districts in the Fennoscandian Shield (Vol. 28). ; Niiranen, T. 2011. Iron oxide-copper-gold and porphyry-Cu deposits in Northern Finland and Sweden. Excursion guide in the 25th International Applied Geochemistry Symposium 2011, 22-26 August 2011, Rovaniemi, Finland. Vuorimiesyhdistys - Finnish Association of Mining and Metallurgical Engineers, Serie B92-12, 40 pages. ; Knipfer, S., Nordin, R., Wasström, A., Höglund, S., Joslin, G., & Wanhainen, C. The Aitik porphyry Cu-Au-Ag-(Mo) deposit in Sweden. Reference: Niiranen, T. 2011. Iron oxide-copper-gold and porphyry-Cu deposits in Northern Finland and Sweden. Excursion guide in the 25th International Applied Geochemistry Symposium 2011, 22-26 August 2011, Rovaniemi, Finland. Vuorimiesyhdistys - Finnish Association of Mining and Metallurgical Engineers, Serie B92-12, 40 pages. Reference: Fengxiang Wang, Fengjun Nie, Weibo Zhang, Yi Cao, and Chengwu Ding (2013): Mineral Deposits 32(5), 1068-1071; Knipfer, S., Nordin, R., Wasström, A., Höglund, S., Joslin, G., & Wanhainen, C. The Aitik porphyry Cu-Au-Ag-(Mo) deposit in Sweden. ; Nigatu, W. (2011). Rhenium in the Aitik Cu-Au-Ag-(Mo) Deposit (Doctoral dissertation, Master’s Thesis, Lulea University of Technology, Lulea, Sweden). Reference: Singer, D.A., Berger, V.I., and Moring, B.C. (2008): US Geological Survey Open-File Report 2008-1155.; Sammelin, M., Wanhainen, C., & Martinsson, O. (2011). Gold mineralogy at the Aitik Cu–Au–Ag deposit, Gällivare area, northern Sweden. GFF, 133(1-2), 19-30.; Eilu, P. (2003). Exploration for orogenic gold deposits. Fennoscandian Exploration and Mining 2003. Rovaniemi, Finland ; Monika Kontturi & Olof Martinsson (2000) Gold in the Aitik Cu-Au deposit, Gellivare area, Northern Sweden. In Abstract volume and Field trip Guidebook, 2nd annual GEODE-Fennoscandian shield field workshop on Palaeoproterozoic and Archean greenstone belts and VMS districts in the Fennoscandian Shield (Vol. 28). ; C. Wanhainen & O. Martinsson (2000) The Aitik Cu-Au deposit, Gellivare area, northern Sweden. In Abstract volume and Field trip Guidebook, 2nd annual GEODE-Fennoscandian shield field workshop on Palaeoproterozoic and Archean greenstone belts and VMS districts in the Fennoscandian Shield (Vol. 28). ; Fengxiang Wang, Fengjun Nie, Weibo Zhang, Yi Cao, and Chengwu Ding (2013): Mineral Deposits 32(5), 1068-1071; Niiranen, T. 2011. Iron oxide-copper-gold and porphyry-Cu deposits in Northern Finland and Sweden. Excursion guide in the 25th International Applied Geochemistry Symposium 2011, 22-26 August 2011, Rovaniemi, Finland. Vuorimiesyhdistys - Finnish Association of Mining and Metallurgical Engineers, Serie B92-12, 40 pages. ; Knipfer, S., Nordin, R., Wasström, A., Höglund, S., Joslin, G., & Wanhainen, C. The Aitik porphyry Cu-Au-Ag-(Mo) deposit in Sweden. ; Nigatu, W. (2011). 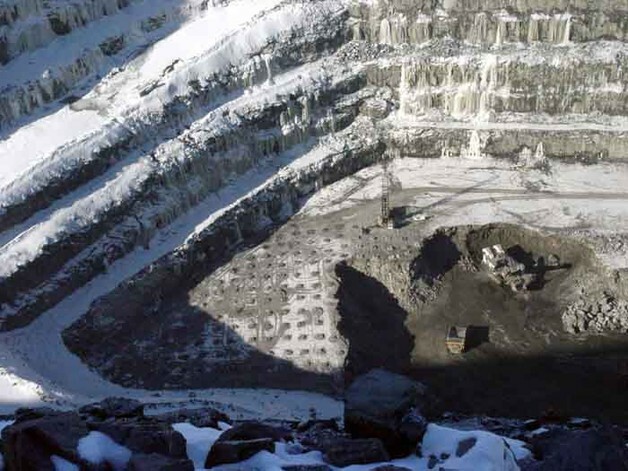 Rhenium in the Aitik Cu-Au-Ag-(Mo) Deposit (Doctoral dissertation, Master’s Thesis, Lulea University of Technology, Lulea, Sweden). Reference: Singer, D.A., Berger, V.I., and Moring, B.C. (2008): US Geological Survey Open-File Report 2008-1155.; C. Wanhainen & O. Martinsson (2000) The Aitik Cu-Au deposit, Gellivare area, northern Sweden. In Abstract volume and Field trip Guidebook, 2nd annual GEODE-Fennoscandian shield field workshop on Palaeoproterozoic and Archean greenstone belts and VMS districts in the Fennoscandian Shield (Vol. 28). ; Fengxiang Wang, Fengjun Nie, Weibo Zhang, Yi Cao, and Chengwu Ding (2013): Mineral Deposits 32(5), 1068-1071; Niiranen, T. 2011. Iron oxide-copper-gold and porphyry-Cu deposits in Northern Finland and Sweden. Excursion guide in the 25th International Applied Geochemistry Symposium 2011, 22-26 August 2011, Rovaniemi, Finland. Vuorimiesyhdistys - Finnish Association of Mining and Metallurgical Engineers, Serie B92-12, 40 pages. ; Knipfer, S., Nordin, R., Wasström, A., Höglund, S., Joslin, G., & Wanhainen, C. The Aitik porphyry Cu-Au-Ag-(Mo) deposit in Sweden. Reference: LTU-DT-0536-SE. Wanhainen.Aitik (Doctoral thesis); Sammelin, M., Wanhainen, C., & Martinsson, O. (2011). Gold mineralogy at the Aitik Cu–Au–Ag deposit, Gällivare area, northern Sweden. GFF, 133(1-2), 19-30.; Monika Kontturi & Olof Martinsson (2000) Gold in the Aitik Cu-Au deposit, Gellivare area, Northern Sweden. In Abstract volume and Field trip Guidebook, 2nd annual GEODE-Fennoscandian shield field workshop on Palaeoproterozoic and Archean greenstone belts and VMS districts in the Fennoscandian Shield (Vol. 28). Reference: LTU-DT-0536-SE. Wanhainen.Aitik (Doctoral thesis); 33 IGC excursion No 15, August 15th – 21st 2008; Singer, D.A., Berger, V.I., and Moring, B.C. (2008): US Geological Survey Open-File Report 2008-1155.; C. Wanhainen & O. Martinsson (2000) The Aitik Cu-Au deposit, Gellivare area, northern Sweden. In Abstract volume and Field trip Guidebook, 2nd annual GEODE-Fennoscandian shield field workshop on Palaeoproterozoic and Archean greenstone belts and VMS districts in the Fennoscandian Shield (Vol. 28). ; Fengxiang Wang, Fengjun Nie, Weibo Zhang, Yi Cao, and Chengwu Ding (2013): Mineral Deposits 32(5), 1068-1071; Niiranen, T. 2011. Iron oxide-copper-gold and porphyry-Cu deposits in Northern Finland and Sweden. Excursion guide in the 25th International Applied Geochemistry Symposium 2011, 22-26 August 2011, Rovaniemi, Finland. Vuorimiesyhdistys - Finnish Association of Mining and Metallurgical Engineers, Serie B92-12, 40 pages. ; Knipfer, S., Nordin, R., Wasström, A., Höglund, S., Joslin, G., & Wanhainen, C. The Aitik porphyry Cu-Au-Ag-(Mo) deposit in Sweden. ; Nigatu, W. (2011). 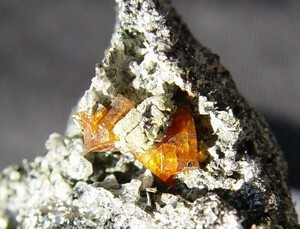 Rhenium in the Aitik Cu-Au-Ag-(Mo) Deposit (Doctoral dissertation, Master’s Thesis, Lulea University of Technology, Lulea, Sweden). Reference: Niiranen, T. 2011. Iron oxide-copper-gold and porphyry-Cu deposits in Northern Finland and Sweden. Excursion guide in the 25th International Applied Geochemistry Symposium 2011, 22-26 August 2011, Rovaniemi, Finland. Vuorimiesyhdistys - Finnish Association of Mining and Metallurgical Engineers, Serie B92-12, 40 pages. ; Nigatu, W. (2011). Rhenium in the Aitik Cu-Au-Ag-(Mo) Deposit (Doctoral dissertation, Master’s Thesis, Lulea University of Technology, Lulea, Sweden). Reference: 33 IGC excursion No 15, August 15th – 21st 2008; Niiranen, T. 2011. Iron oxide-copper-gold and porphyry-Cu deposits in Northern Finland and Sweden. Excursion guide in the 25th International Applied Geochemistry Symposium 2011, 22-26 August 2011, Rovaniemi, Finland. Vuorimiesyhdistys - Finnish Association of Mining and Metallurgical Engineers, Serie B92-12, 40 pages. Reference: Fengxiang Wang, Fengjun Nie, Weibo Zhang, Yi Cao, and Chengwu Ding (2013): Mineral Deposits 32(5), 1068-1071; Knipfer, S., Nordin, R., Wasström, A., Höglund, S., Joslin, G., & Wanhainen, C. The Aitik porphyry Cu-Au-Ag-(Mo) deposit in Sweden. Reference: Sammelin, M., Wanhainen, C., & Martinsson, O. (2011). Gold mineralogy at the Aitik Cu–Au–Ag deposit, Gällivare area, northern Sweden. GFF, 133(1-2), 19-30.; C. Wanhainen & O. Martinsson (2000) The Aitik Cu-Au deposit, Gellivare area, northern Sweden. In Abstract volume and Field trip Guidebook, 2nd annual GEODE-Fennoscandian shield field workshop on Palaeoproterozoic and Archean greenstone belts and VMS districts in the Fennoscandian Shield (Vol. 28). Reference: LTU-DT-0536-SE. Wanhainen.Aitik (Doctoral thesis); 33 IGC excursion No 15, August 15th – 21st 2008; Singer, D.A., Berger, V.I., and Moring, B.C. (2008): US Geological Survey Open-File Report 2008-1155.; Monika Kontturi & Olof Martinsson (2000) Gold in the Aitik Cu-Au deposit, Gellivare area, Northern Sweden. In Abstract volume and Field trip Guidebook, 2nd annual GEODE-Fennoscandian shield field workshop on Palaeoproterozoic and Archean greenstone belts and VMS districts in the Fennoscandian Shield (Vol. 28). ; C. Wanhainen & O. Martinsson (2000) The Aitik Cu-Au deposit, Gellivare area, northern Sweden. In Abstract volume and Field trip Guidebook, 2nd annual GEODE-Fennoscandian shield field workshop on Palaeoproterozoic and Archean greenstone belts and VMS districts in the Fennoscandian Shield (Vol. 28). ; Fengxiang Wang, Fengjun Nie, Weibo Zhang, Yi Cao, and Chengwu Ding (2013): Mineral Deposits 32(5), 1068-1071; Knipfer, S., Nordin, R., Wasström, A., Höglund, S., Joslin, G., & Wanhainen, C. The Aitik porphyry Cu-Au-Ag-(Mo) deposit in Sweden. ; Nigatu, W. (2011). Rhenium in the Aitik Cu-Au-Ag-(Mo) Deposit (Doctoral dissertation, Master’s Thesis, Lulea University of Technology, Lulea, Sweden). Reference: C. Wanhainen & O. Martinsson (2000) The Aitik Cu-Au deposit, Gellivare area, northern Sweden. In Abstract volume and Field trip Guidebook, 2nd annual GEODE-Fennoscandian shield field workshop on Palaeoproterozoic and Archean greenstone belts and VMS districts in the Fennoscandian Shield (Vol. 28). Reference: 33 IGC excursion No 15, August 15th – 21st 2008; Singer, D.A., Berger, V.I., and Moring, B.C. (2008): US Geological Survey Open-File Report 2008-1155.; C. Wanhainen & O. Martinsson (2000) The Aitik Cu-Au deposit, Gellivare area, northern Sweden. In Abstract volume and Field trip Guidebook, 2nd annual GEODE-Fennoscandian shield field workshop on Palaeoproterozoic and Archean greenstone belts and VMS districts in the Fennoscandian Shield (Vol. 28). 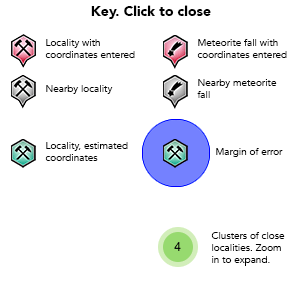 ; Fengxiang Wang, Fengjun Nie, Weibo Zhang, Yi Cao, and Chengwu Ding (2013): Mineral Deposits 32(5), 1068-1071; Christina Wanhainen, Wondowossen Nigatu, David Selby, Claire L. McLeod, Roger Nordin and Nils-Johan Bolin (2014): The Distribution, Character, and Rhenium Content of Molybdenite in the Aitik Cu-Au-Ag-(Mo) Deposit and Its Southern Extension in the Northern Norrbotten Ore District, Northern Sweden. Minerals 4(4), 788-814.; Knipfer, S., Nordin, R., Wasström, A., Höglund, S., Joslin, G., & Wanhainen, C. The Aitik porphyry Cu-Au-Ag-(Mo) deposit in Sweden. ; Nigatu, W. (2011). Rhenium in the Aitik Cu-Au-Ag-(Mo) Deposit (Doctoral dissertation, Master’s Thesis, Lulea University of Technology, Lulea, Sweden). Reference: Singer, D.A., Berger, V.I., and Moring, B.C. (2008): US Geological Survey Open-File Report 2008-1155.; Eilu, P. (2003). Exploration for orogenic gold deposits. Fennoscandian Exploration and Mining 2003. Rovaniemi, Finland ; Monika Kontturi & Olof Martinsson (2000) Gold in the Aitik Cu-Au deposit, Gellivare area, Northern Sweden. In Abstract volume and Field trip Guidebook, 2nd annual GEODE-Fennoscandian shield field workshop on Palaeoproterozoic and Archean greenstone belts and VMS districts in the Fennoscandian Shield (Vol. 28). ; Fengxiang Wang, Fengjun Nie, Weibo Zhang, Yi Cao, and Chengwu Ding (2013): Mineral Deposits 32(5), 1068-1071; Knipfer, S., Nordin, R., Wasström, A., Höglund, S., Joslin, G., & Wanhainen, C. The Aitik porphyry Cu-Au-Ag-(Mo) deposit in Sweden. Reference: Singer, D.A., Berger, V.I., and Moring, B.C. (2008): US Geological Survey Open-File Report 2008-1155.; Fengxiang Wang, Fengjun Nie, Weibo Zhang, Yi Cao, and Chengwu Ding (2013): Mineral Deposits 32(5), 1068-1071; Niiranen, T. 2011. Iron oxide-copper-gold and porphyry-Cu deposits in Northern Finland and Sweden. Excursion guide in the 25th International Applied Geochemistry Symposium 2011, 22-26 August 2011, Rovaniemi, Finland. Vuorimiesyhdistys - Finnish Association of Mining and Metallurgical Engineers, Serie B92-12, 40 pages. ; Knipfer, S., Nordin, R., Wasström, A., Höglund, S., Joslin, G., & Wanhainen, C. The Aitik porphyry Cu-Au-Ag-(Mo) deposit in Sweden. ; Nigatu, W. (2011). 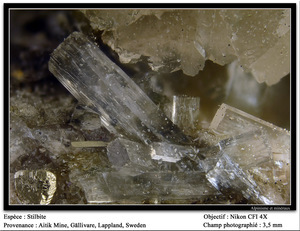 Rhenium in the Aitik Cu-Au-Ag-(Mo) Deposit (Doctoral dissertation, Master’s Thesis, Lulea University of Technology, Lulea, Sweden). Reference: LTU-DT-0536-SE. Wanhainen.Aitik (Doctoral thesis); 33 IGC excursion No 15, August 15th – 21st 2008; Singer, D.A., Berger, V.I., and Moring, B.C. (2008): US Geological Survey Open-File Report 2008-1155.; Sammelin, M., Wanhainen, C., & Martinsson, O. (2011). Gold mineralogy at the Aitik Cu–Au–Ag deposit, Gällivare area, northern Sweden. GFF, 133(1-2), 19-30.; Eilu, P. (2003). Exploration for orogenic gold deposits. Fennoscandian Exploration and Mining 2003. Rovaniemi, Finland ; Monika Kontturi & Olof Martinsson (2000) Gold in the Aitik Cu-Au deposit, Gellivare area, Northern Sweden. In Abstract volume and Field trip Guidebook, 2nd annual GEODE-Fennoscandian shield field workshop on Palaeoproterozoic and Archean greenstone belts and VMS districts in the Fennoscandian Shield (Vol. 28). ; C. Wanhainen & O. Martinsson (2000) The Aitik Cu-Au deposit, Gellivare area, northern Sweden. In Abstract volume and Field trip Guidebook, 2nd annual GEODE-Fennoscandian shield field workshop on Palaeoproterozoic and Archean greenstone belts and VMS districts in the Fennoscandian Shield (Vol. 28). ; Fengxiang Wang, Fengjun Nie, Weibo Zhang, Yi Cao, and Chengwu Ding (2013): Mineral Deposits 32(5), 1068-1071; Knipfer, S., Nordin, R., Wasström, A., Höglund, S., Joslin, G., & Wanhainen, C. The Aitik porphyry Cu-Au-Ag-(Mo) deposit in Sweden. ; Nigatu, W. (2011). Rhenium in the Aitik Cu-Au-Ag-(Mo) Deposit (Doctoral dissertation, Master’s Thesis, Lulea University of Technology, Lulea, Sweden). Reference: 33 IGC excursion No 15, August 15th – 21st 2008; Singer, D.A., Berger, V.I., and Moring, B.C. (2008): US Geological Survey Open-File Report 2008-1155.; Eilu, P. (2003). Exploration for orogenic gold deposits. Fennoscandian Exploration and Mining 2003. Rovaniemi, Finland ; Monika Kontturi & Olof Martinsson (2000) Gold in the Aitik Cu-Au deposit, Gellivare area, Northern Sweden. In Abstract volume and Field trip Guidebook, 2nd annual GEODE-Fennoscandian shield field workshop on Palaeoproterozoic and Archean greenstone belts and VMS districts in the Fennoscandian Shield (Vol. 28). ; Fengxiang Wang, Fengjun Nie, Weibo Zhang, Yi Cao, and Chengwu Ding (2013): Mineral Deposits 32(5), 1068-1071; Knipfer, S., Nordin, R., Wasström, A., Höglund, S., Joslin, G., & Wanhainen, C. The Aitik porphyry Cu-Au-Ag-(Mo) deposit in Sweden. ; Nigatu, W. (2011). Rhenium in the Aitik Cu-Au-Ag-(Mo) Deposit (Doctoral dissertation, Master’s Thesis, Lulea University of Technology, Lulea, Sweden). Reference: 33 IGC excursion No 15, August 15th – 21st 2008; Sammelin, M., Wanhainen, C., & Martinsson, O. (2011). Gold mineralogy at the Aitik Cu–Au–Ag deposit, Gällivare area, northern Sweden. GFF, 133(1-2), 19-30.; Eilu, P. (2003). 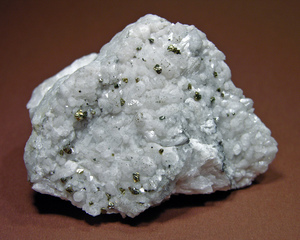 Exploration for orogenic gold deposits. Fennoscandian Exploration and Mining 2003. Rovaniemi, Finland ; Monika Kontturi & Olof Martinsson (2000) Gold in the Aitik Cu-Au deposit, Gellivare area, Northern Sweden. In Abstract volume and Field trip Guidebook, 2nd annual GEODE-Fennoscandian shield field workshop on Palaeoproterozoic and Archean greenstone belts and VMS districts in the Fennoscandian Shield (Vol. 28). ; C. Wanhainen & O. Martinsson (2000) The Aitik Cu-Au deposit, Gellivare area, northern Sweden. In Abstract volume and Field trip Guidebook, 2nd annual GEODE-Fennoscandian shield field workshop on Palaeoproterozoic and Archean greenstone belts and VMS districts in the Fennoscandian Shield (Vol. 28). ; Fengxiang Wang, Fengjun Nie, Weibo Zhang, Yi Cao, and Chengwu Ding (2013): Mineral Deposits 32(5), 1068-1071; Knipfer, S., Nordin, R., Wasström, A., Höglund, S., Joslin, G., & Wanhainen, C. The Aitik porphyry Cu-Au-Ag-(Mo) deposit in Sweden. Reference: 33 IGC excursion No 15, August 15th – 21st 2008; Singer, D.A., Berger, V.I., and Moring, B.C. (2008): US Geological Survey Open-File Report 2008-1155.; Fengxiang Wang, Fengjun Nie, Weibo Zhang, Yi Cao, and Chengwu Ding (2013): Mineral Deposits 32(5), 1068-1071; Nigatu, W. (2011). Rhenium in the Aitik Cu-Au-Ag-(Mo) Deposit (Doctoral dissertation, Master’s Thesis, Lulea University of Technology, Lulea, Sweden). Reference: LTU-DT-0536-SE. Wanhainen.Aitik (Doctoral thesis); Knipfer, S., Nordin, R., Wasström, A., Höglund, S., Joslin, G., & Wanhainen, C. The Aitik porphyry Cu-Au-Ag-(Mo) deposit in Sweden. Reference: Niiranen, T. 2011. Iron oxide-copper-gold and porphyry-Cu deposits in Northern Finland and Sweden. Excursion guide in the 25th International Applied Geochemistry Symposium 2011, 22-26 August 2011, Rovaniemi, Finland. Vuorimiesyhdistys - Finnish Association of Mining and Metallurgical Engineers, Serie B92-12, 40 pages. ; Knipfer, S., Nordin, R., Wasström, A., Höglund, S., Joslin, G., & Wanhainen, C. The Aitik porphyry Cu-Au-Ag-(Mo) deposit in Sweden. ; Nigatu, W. (2011). Rhenium in the Aitik Cu-Au-Ag-(Mo) Deposit (Doctoral dissertation, Master’s Thesis, Lulea University of Technology, Lulea, Sweden). Reference: C. Wanhainen & O. Martinsson (2000) The Aitik Cu-Au deposit, Gellivare area, northern Sweden. In Abstract volume and Field trip Guidebook, 2nd annual GEODE-Fennoscandian shield field workshop on Palaeoproterozoic and Archean greenstone belts and VMS districts in the Fennoscandian Shield (Vol. 28). ; Fengxiang Wang, Fengjun Nie, Weibo Zhang, Yi Cao, and Chengwu Ding (2013): Mineral Deposits 32(5), 1068-1071; Knipfer, S., Nordin, R., Wasström, A., Höglund, S., Joslin, G., & Wanhainen, C. The Aitik porphyry Cu-Au-Ag-(Mo) deposit in Sweden. ; Nigatu, W. (2011). Rhenium in the Aitik Cu-Au-Ag-(Mo) Deposit (Doctoral dissertation, Master’s Thesis, Lulea University of Technology, Lulea, Sweden). Zweifel,H. (1976): Aitik- Geological documentation of a disseminated copper deposit. A preliminary investigation. Sveriges Geologiska Undersökning (SGU) serie C 720, 79p. Monika Kontturi & Olof Martinsson (2000) Gold in the Aitik Cu-Au deposit, Gellivare area, Northern Sweden. In Abstract volume and Field trip Guidebook, 2nd annual GEODE-Fennoscandian shield field workshop on Palaeoproterozoic and Archean greenstone belts and VMS districts in the Fennoscandian Shield (Vol. 28). C. Wanhainen & O. Martinsson (2000) The Aitik Cu-Au deposit, Gellivare area, northern Sweden. In Abstract volume and Field trip Guidebook, 2nd annual GEODE-Fennoscandian shield field workshop on Palaeoproterozoic and Archean greenstone belts and VMS districts in the Fennoscandian Shield (Vol. 28). Singer, D.A., Berger, V.I., and Moring, B.C. 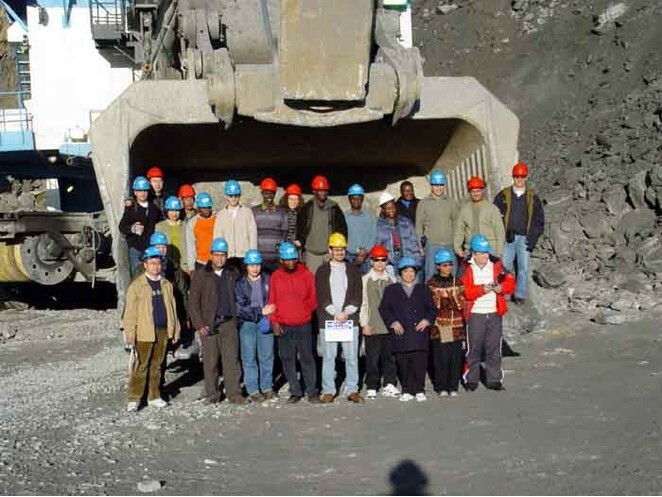 (2008): Porphyry copper deposits of the world: Database and grade and tonnage models, 2008. US Geological Survey Open-File Report 2008-1155. Nigatu, W. (2011). Rhenium in the Aitik Cu-Au-Ag-(Mo) Deposit (Doctoral dissertation, Master’s Thesis, Lulea University of Technology, Lulea, Sweden). Sammelin, M., Wanhainen, C., & Martinsson, O. (2011). Gold mineralogy at the Aitik Cu–Au–Ag deposit, Gällivare area, northern Sweden. GFF, 133(1-2), 19-30. C. Wanhainen, C. Broman, O. Martinsson, B. Magnor (2012): Modification of a Palaeoproterozoic porphyry-like system: Integration of structural, geochemical, petrographic, and fluid inclusion data from the Aitik Cu–Au–Ag deposit, northern Sweden. 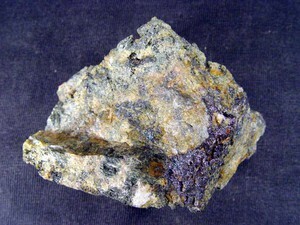 Ore Geology Reviews 48, 306-331. Fengxiang Wang, Fengjun Nie, Weibo Zhang, Yi Cao, and Chengwu Ding (2013): Geological characteristics and genesis of the Aitik Cu-Au-Ag deposit, Sweden. Mineral Deposits 32(5), 1068-1071 (in Chinese). Christina Wanhainen, Wondowossen Nigatu, David Selby, Claire L. McLeod, Roger Nordin and Nils-Johan Bolin (2014): The Distribution, Character, and Rhenium Content of Molybdenite in the Aitik Cu-Au-Ag-(Mo) Deposit and Its Southern Extension in the Northern Norrbotten Ore District, Northern Sweden. 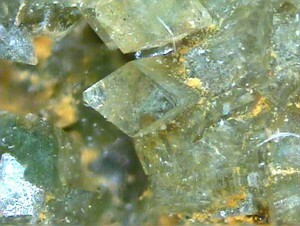 Minerals 4(4), 788-814.